After the first Welsh General Election barometer poll, the Conservative Party was in buoyant mood. The party was projected to win Wales and end Labour Party dominance which had existed since 1922. Immediately after the initial poll, Prime Minister Theresa May was campaigning in Bridgend, a key target for the party, as it hoped to defeat Labour MP Madeleine Moon. That breakthrough in Wales never materialised. In Bridgend, the result was completely different to what had been originally projected, with Madeleine Moon actually increasing her majority. It was a similar story across Wales, with the Tories losing Gower, the Vale of Clwyd and Cardiff North, and being run very close in seats like the Vale of Glamorgan and Preseli Pembrokeshire, seats held by the current and former Secretary of States for Wales. The results in Wales have led to certain figures to call for a ‘Welsh’ Conservative strategy to be put in place for future campaigns. As the election results were coming in, Clwyd West AM Darren Millar began arguing for a ‘Welsh’ Conservative strategy. On the BBC Wales election night coverage, he argued that the Tories had failed in Wales due to a lack of distinctiveness compared to the Labour Party campaign, also arguing that the party had been too negative in its campaigning, spending too much time focusing on Jeremy Corbyn. A ‘Welsh’ approach was needed in the future, to combat Labour on Welsh issues. Welsh Conservative leader Andrew RT Davies has also called for greater focus on the Welsh Conservative brand. He argued that the party in Wales needed “a designated leader”, admitting that his power does not extend beyond the Conservative group in the Assembly. The Welsh Conservatives went through a debacle last month concerning who was going to represent the party at the BBC Wales leaders’ debate. 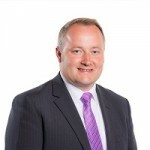 Davies had previously taken part in the ITV debate but there was confusion as to whether he or Secretary of State for Wales Alun Cairns would take part in this one. Amidst rumours that Davies was on his holidays, Darren Millar was thrown into the debate. With Davies and Cairns going back and forth over who didn’t want to turn up, it did not paint the picture of a ‘strong and stable’ united front in the Welsh Conservatives’ ranks. 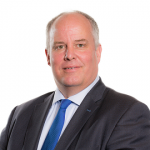 Davies may see a distinct approach, similar to the one Welsh Labour took, as being beneficial to the party’s chances in Wales and for the Welsh leader to have a greater role than the Secretary of State for Wales. For Welsh Labour, leader Carwyn Jones was much more prominent in campaign material than Jeremy Corbyn and other politicians. Davies will be hoping for a greater role for the Welsh leader in the future. Davies has argued that the Welsh Labour campaign, by keeping Corbyn out of its campaign material, was highly effective but the party was also able to benefit from the surge in Corbyn’s popularity that was witnessed throughout the election. He also argued that there already exists a strong Welsh Conservative brand which has proven successful. He claimed that “the decision to allow the UK messaging to marginalize our own, successful brand of Welsh Conservatism meant that we were not in a position to capitalise on those shifting sands in Welsh politics”. However, the lack of distinct Welsh media might have been an issue if the party attempted to push a distinctively ‘Welsh’ campaign. The message might not have been heard above messages of Theresa May being ‘strong and stable’. Her face was all over election material and the focus of the election was on her – this strategy ultimately backfired as the Theresa May election led to a fall in her popularity ratings and the loss of Tory seats. As Davies admitted, he does not have the scope he wants to be able to articulate the distinctive message and will point to the success Ruth Davidson has had in Scotland as the sole Conservative leader there. She has been able to run a distinct Scottish campaign, stressing a “fightback against the SNP”, while Davies has perhaps not due to his limited powers. Apart from Davidson, there appears to be an issue with leadership within the Tory Party. Davies’ popularity in Wales has never been particularly strong which might limit the chances of promoting a successful Welsh Tory brand. If ‘clear blue water’ or something similar is going to be sought, the Welsh Conservatives will need to strengthen its own image as well as Theresa May and the UK Conservatives strengthening theirs.